A quality high school education in the U.S. is hardly a given. Private school offerings vary dramatically, not having to adhere to the same state assessments and standards public schools do. Meanwhile, public schools in many counties and states suffer from a lack of funds and thereby a lack of governmental support. Such schools are typically forced to underpay their staff and to forego advanced courses and electives. While it's important to recognize the gaps in our education system, it's also useful to spotlight the schools doing things right, whether that's to keep parents informed of the best options for their kids or to help school boards and administrators nationwide better understand what it takes for public and private schools, respectively, to succeed. Below you'll find our 2 ranked lists of the 50 best private high schools and 50 best public high schools in the U.S. Our ranked profiles set out to capture what each school does to invest in the academic excellence of its students, the factor that ultimately explains why a school deserves to be called a leader in education. Located in New Castle Town, New York, Horace Greeley has some of the highest academic standards in the state. 99% of its students are considered proficient in math and reading. The school’s average SAT score is well above the national average at 1990 (the national average is 1720). The average ACT score at 31 is five points ahead of the national average as well. One of the academic programs the school is known for is the LIFE (Learning Independently From Experience) school, an alternative school located on the campus for grades 11–12 with independent study and senior project options. Named for the former editor of the New York Tribune who popularized the phrase, "Go West, young man, and grow up with the country," Horace Greeley High has excellent educational outcomes as well. With a graduation rate of 98%, many of the students have gone on to study business, psychology, liberal arts and pre-medicine at colleges such as New York University, Cornell, Vanderbilt and the University of Pennsylvania. The school body consists of 1,280 students in grades 9-12. Horace Greeley High is ranked 5th in the state of New York. Conestoga Senior High School, or "Stoga," as it is nicknamed, has a graduation rate of 99% and is nationally recognized for its challenging academics. 35% of students say it is relatively difficult to get mostly A’s at Conestoga. 24 credits are required for graduation and students can choose classes from the Business/Technology, Visual and Performing Arts or Wellness/Fitness/Family & Consumer Science among traditional departments as well. At Stoga, 93% of students are proficient in math and 96% in reading. The school is ranked 1st in Pennsylvania, and 97% of Conestoga graduates advance to colleges and universities, such as John Hopkins, Duke, and the most popular destination: Pennsylvania State University. The high school GPA (25th -- 75th percentile) is between 3.30 and 3.85. Stoga has been honored three times by the Siemens Foundation for Advanced Placement. The school has a student body of 2,053 enrolled in grades 9-12. Just over 4,000 students are enrolled in Illinois’ top public high school, Adlai E. Stevenson High, located in Vernon Township. Stevenson is the only public high school in Illinois to receive four Blue Ribbon Awards for Excellence in Education from the U.S. Department of Education. Stevenson offers over 200 courses in applied arts, communication arts, fine arts, foreign languages, mathematics, physical welfare, science and social science, 20 of which are AP courses. Other opportunities for students include 125 co-curricular clubs and activities in which three-fourths of the student body is involved. With a 92% graduation rate, it’s no surprise that 97% of students go on to study subjects such as business, psychology, biology and engineering at top colleges and universities like the University of Illinois at Urbana-Champaign, the University of Wisconsin and Indiana University at Bloomington. Adlai E. Stevenson High is known for the size of its campus (76 acres), which includes a performing arts center that seats 1,200 and an Olympic-sized pool, and for its high level of preparation for the ACTs, SATs and college. The average ACT score here is 30. The high school’s average SAT score is 2130 -- compared to the national average of 1720. Adlai E. Stevenson High School is ranked #1 for Best Facilities -- Public High Schools in America, most of which have undergone immense renovations since the school opened in 1965, including the construction of a sky-bridge, numerous additions and athletic field expansions. Three-fourths of Stevenson’s teachers hold a master's degree. 78% of 64 students who were polled said, if they could do it all over again, they would still go to Adlai. Thomas Jefferson High School for Science and Technology is a state-chartered magnet school located in Fairfax County and is ranked #1 in the nation for Best Academics -- Public High Schools in America. The school has a full-day, four-year program unlike most other magnet schools and as the Governor's School for Science and Technology in Northern Virginia (one of 18 Governor’s Schools in the state), it is also supported by the Virginia Department of Education. 99% of students are proficient in both math and reading. Students annually participate in the Thomas Jefferson Symposium to Advance Research (tjSTAR), a day-long symposium during which students share research projects, explore potential careers and learn about future research projects at the school. The curriculum’s primary focus is STEM, including artificial intelligence, neurobiology, DNA science, organic chemistry, linear algebra, marine biology, multivariable calculus and quantum mechanics, most of which are taught at the AP level. The school is also one of the few schools to have a Computer Systems Lab (CSL, often shortened to "syslab") that houses a supercomputer. The graduation rate is 18% above the national average, at 99%, with many students going on to study STEM at schools like the University of Virginia, Virginia Tech and the College of William and Mary. Thomas Jefferson High is considered the 25th Safest Public High School in America, as well as #35 for Best High School Teachers in America. Each year the TJ language department participates in a unique exchange program with Chiben Gakuen High School in Japan, which celebrated its 20th anniversary in 2013. The study body is comprised of 1,854 individuals, the demographic of which has altered drastically over the past decade. Currently, 53% of students are Asian, 39% white, 2% Hispanic, 2% multiracial and 1% African American. TJHSST is currently undergoing renovations which should be completed by the end of 2016. The school has not been updated since its inception in 1964. As of 2013, North Allegheny offered 18 Advanced Placement (AP) courses at a higher cost than regular courses. Ranked the 2nd best public high school in Pennsylvania, NASH is fed by North Allegheny Intermediate High School, which teaches 9th and 10th grades. NASH has a 99% graduation rate and students must earn 21 credits in order to graduate. Many continue their studies at higher learning institutions like the University of Pittsburgh, Penn State and the University of Pennsylvania, majoring in business, psychology, engineering, biology and political science. Students also have the option to attend A. W. Beattie Career Center for training in the trades. There are also visual and speech disability services for specialized education offered through the Allegheny Intermediate Unit IU3. This school is ranked #24 for Best High School Teachers in America -- the student-teacher ratio is about 13:1 and 100% of the teachers are rated "Highly Qualified" under the federal No Child Left Behind Act. The average SAT score at North Allegheny is 1840 and the average ACT score is 29. The student body is made up of 1,299 students enrolled just in grades 11-12. 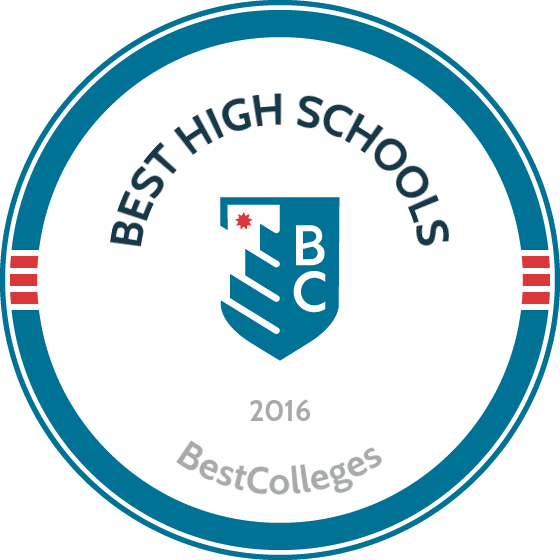 Situated in the northeast corner of Irvine, California, Northwood is regarded as not only one of the best schools in California, but also one of the best public schools in the nation. Considering students at Northwood currently hold a 91% proficiency rating on California state assessments and that 33.9% of the student body are enrolled in AP courses, it's unsurprising that the school's academic record is so stellar. In terms of student success once leaving Northwood, consider that 97% of all seniors graduate and that popular collegiate destinations for students include prestigious schools like UCLA, USC SDSU and Stanford. Average SAT scores sit at 2020 (300 points higher than the national average) and ACT scores sit at 30 (4 points higher than the national average). As of February 2014, Northwood had 1,957 enrolled students and 75 certificated teachers. Northwood has an excellent library system that includes allowing students to rent and use laptops throughout the library. Boys and girls sports offered at Northwood include basketball, golf, lacrosse, soccer, swimming, tennis, volleyball and waterpolo. Located in the Atlanta metropolitan area, Gwinnett School of Mathematics, Science & Technology is a young charter school founded in 2007 that has gone on to be ranked the top public high school in Georgia. Honors, Gifted and Accelerated classes are offered. Over 40 extracurricular club opportunities are available to students, including Model UN, Robotics, Math Team, Debate Team, Newspaper and Infinity News Network clubs. The graduation rate, also at 95%, partially contributes to the number of students going on to major in subjects like biology, biomedical and bioengineering, biochemistry and molecular biology at top universities like the University of Georgia, Georgia Institute of Technology, Emory University and Vanderbilt University. The high school’s average SAT score is above the national average, at 1980, along with its average ACT score at 30. In terms of recognition, GCPS has been a finalist for the Broad Prize three times: in 2009, 2010, and 2014. The system's combined Broad Prize winnings have resulted in $1.75 million in college scholarships for GCPS students. Lenovo recently donated funds enabling each student to have a personal laptop. Gwinnett School of Mathematics, Science & Technology is ranked #11 in the nation for Best High School Teachers in America. GCPS is #20 in for the top STEM schools in America according to the U.S. News & World Report. This high school is on the smaller side, with just 696 students enrolled in grades 9-12. Ranked 5th in Illinois, Glenbrook North High School has a graduation rate of 98% with students continuing on to attend colleges and universities around the world. Examples include the University of Illinois at Urbana-Champaign, the University of Wisconsin, the University of Texas at Austin and Indiana University at Bloomington, where Glenbrook graduates study subjects such as business, psychology, biology and nursing. Glenbrook High offers 24 Advanced Placement courses leading to 90% of students earning scores that qualify for college credit. The average SAT score is 1970 and the average ACT score is 30, both of which are above the national averages. It's also claimed National and State championships in policy debate. Glenbrook North is on the larger side, with 2,055 students enrolled in grades 9-12. Of the 195 certified staff members, 90.9% hold a master’s degree or higher at GBN. San Marino High School is California’s 7th best public high school and the 9th best in the whole of the U.S. 95% of students are proficient in math, 90% proficient in reading. SAT and ACT scores are both well above the national average, at 2020 and 32, respectively. A contributor to these high numbers is the fact that more than 60% of students attend a six week summer school program primarily for enrichment and advancement. While recognized for its level of safety and quality of teachers, the school is also known for its completely wireless campus with Apple TVs in each classroom, its BRAVO Award-Winning Performing Arts Program and its on-site television/video production studio. With a graduation rate of 99%, it stands to reason that San Marino students go on to major in subjects such as business, biology, political science and government and engineering at schools like the University of Southern California, the University of California, New York University and Stanford University. Some students opt to pursue military careers or specialized educational options in lieu of higher education after graduation. 1,197 students are enrolled in grades 9-12. New York State’s 3rd best public high school, Jericho Senior High School is the only high school in the Jericho Union Free School District. Known for its academic excellence and the support provided by its faculty and staff, the school offers a number of advanced classes and college credit classes at St. John’s. 99% of students are proficient in reading and math. Ranked #15 for Best Academics in Public High Schools in America, the school’s average SAT and ACT scores are 2040 and 29, respectively. Extracurriculars range from chess to knitting, including engineering clubs, Key club, Model UN, Model Congress and more. The science and social programs consistently produce Intel and Siemens semifinalists. With a graduation rate of 99%, many Jericho Senior high graduates continue on to study economics, engineering and computer sciences and higher learning institutions of the first and second tier, such as New York University, Cornell and the University of Pennsylvania. 1,192 students are enrolled in grades 9-12 at Jericho Senior High. There is a very strong anti-bullying program in the school. Located in Irvine, California, University High School has been praised for it's commitment to social responsibility, high academic achievement and excellence through a rigorous curriculum, preparing its students for college. The school’s graduation rate is at 96%, with many students continuing on to study at highly regarded universities and colleges such as UC Berkeley, Harvard, UCLA, UCSD, UCSB and UCI. Uni is also known for its diverse student body, comprised of individuals who were born throughout the world and who speak over 23 different languages. More than half the student body agree that it is relatively difficult to get mostly A’s at UNI. Uni’s GPA (25th-75th percentile) is 3.36 to 3.85. Uni is ranked the 18th best high school in California. New Trier Township High School is one of the largest public high schools in the U.S., with 3,134 students enrolled in grades 10-12. The school is known for its academic excellence, its athletic, drama, music and visual arts programs. Student ensembles have actually received 39 awards in the Downbeat Student Music Awards program, and over 1,100 students participate in the music department. There are also over 150 extracurricular activities for New Trier students, including the "Cereal Club" and athletic teams that have won more than 120 state championships. New Trier has some of the best rankings in the U.S. as well, coming in 9th for Safest Public High School in America and 7th for Best Academics. 90% of students at New Trier are proficient in math and 88% are proficient in reading. Nearly all students agree that the quality of education, the size and the resources available are what set New Trier apart. For over fifty years, the school has practiced subject-level grouping, which offers up to four different levels of difficulty for each academic subject, from college preparatory, honors, high honors and advanced placement. With a graduation rate of 99%, many New Trier graduates continue their education by studying English, economics, engineering and communications at institutions of higher learning such as the University of Wisconsin, Vanderbilt University, the University of Illinois and the University of Michigan. The average SAT score at New Trier is 2030; the average ACT score is 30. New Trier spends more than $15,000 yearly per student, well above the state average of $8,786. Of the more than 3,000 enrolled students, 47% are female and 52% are male. Unionville boasts a collection of 22 advanced placement and 24 honors course options, making its curriculum one of the nation's premier. The average class size is roughly 25 students. The school also received scores of A in all ranking areas, excluding student culture and diversity. Unionville has a total of 72 registered clubs, which equates to approximately one club for every 20 students. Other activities include independent study, work experience and vocational training, as well as three international exchange partnerships. This past year, the girls cross country team became state and regional champions. Technology is considered an important part of the classroom experience at Unionville High and is often used as a major resource. With a counseling team of 6 staff members working full-time, it’s no wonder 96% of the graduating class go on to attend two-year or four-year universities. Unionville has a student-teacher ratio of 12:1. Libertyville High School is situated in the Chicago metropolitan area and houses 1,976 students enrolled in grades 9-12. In 2012-2013, LHS students improved their Prairie State Achievement Exam standards from 0.9% to 84%. The school’s average SAT score is 2080 and its average ACT score is 29 -- both considerably above the national average. LHS is renowned for its fine arts program, including its bands and orchestras, which have been recognized for their excellence at both the state and regional levels. The Wind Ensemble alone has performed at numerous national and international music conferences and has been named a Class AAA Honor Band. The orchestra has performed numerous times abroad. LHS is also home to championship-winning athletics. Graduation is at 96% -- 15% above the national average. Popular majors pursued by graduates include business, engineering, elementary education, marketing and communications at such colleges as the University of Illinois at Urbana-Champaign, the University of Wisconsin and the University of Iowa. Marlon Brando, the award-winning actor, attended Libertyville. The student body is predominantly white, however it is split nearly 50/50 in terms of gender. 85% of students who were asked whether they would still want to go to Libertyville High if they could do it all over again said yes. Byram Hills High School’s students not only have 99% proficiency in math and reading, but a 99% graduation rate as well. The school has renowned academic, athletic and performing arts programs. Byram Hills also maintains a range of clubs and extracurriculars for students. Currently, 15 AP courses in all areas of study are offered. Honors courses in math and science are available, as are unique classes in peer leadership, science research, freshmen mentoring and perspectives in literature. To cope with the heavy academic load, the school schedule follows the "drop-day" cycle pattern; every day students "drop" one of their classes for that day's cycle (i.e., if it is drop-day 1, then students skip their first period class). The school’s average SAT and ACT scores are 2010 and 30, respectively, both of which are considerably above the national average. Known for its rigorous curriculum, 100% of students asked agree that Byram Hills High is competitive. There are also a variety of athletic programs, in which three quarters of the student body participate in during the school year. Most of Byram Hills High graduates continue on to major in subjects such as business, communications, engineering and pre-medicine at esteemed schools like Cornell University, New York University and the University of Wisconsin. This high school is quite small; only 858 students are enrolled in grades 9-12. This large Californian high school is located in San Diego. Academic programs at Westview include honors courses, advanced placement, remediation, English language learners (ELL), advanced placement via individual determination (AVID), special education and a regional occupation program (ROP). Students may take up to four 10-credit classes each 18-week term based on Westview’s 4x4 block schedule, allowing them to earn up to 80 credits per year towards the 230 credit graduation requirement. Average SAT score at Westview High School come in at 1930; the average ACT score is 29. The sturdy graduation rate of 99% contributes to the number of students going on to study business, biology and computer science at places like San Diego State University, the University of California and the University of San Diego. 73% of the graduating class went on to attend 4-year colleges and the remaining 27% went to 2-year colleges. The student body is comprised of 2,361 students enrolled in grades 9-12. It has a nationally ranked dance troupe, JROTC program and cyber security team. The school is quite diverse: 54% white, 34% Asian, 8% Hispanic, 2% African American and 2% multiracial. Hunterdon Central High School is quite large, with over 3,000 students enrolled in grades 9-12. 99% of them are proficient in reading; 93% are proficient in math. It is ranked #15 for Safest Public High Schools in America -- housing a complex security system that requires students and faculty to enter using ID cards with magnetic strips -- and #63 for Best High School Teachers in America (the student to teacher ratio is quite low, at 12.55:1). Although not particularly recognized for its academics, the school’s average SAT and ACT scores are above the national average, registering at 1850 and 29 respectively. There are 33 interscholastic athletic teams and 50 student activity options, including the award-winning marching band and award-winning orchestral and choral programs. Technology is often used as a classroom tool, with teachers using wireless connectivity, digital multimedia devices and web publishing tools. With a 94% graduation rate, many Hunterdon Central graduates go on to study at Rutgers University, the College of New Jersey, the University of Delaware and Penn State, majoring in subjects such as nursing, business, psychology, biology and communications. The school is ranked overall 22nd in New Jersey. Many students agree that one of the best things about HCHS is that there are "lots of clubs and activities to join." This Connecticut-based high school has a 98% graduation rate, with 94% of students continuing on to four-year schools like Georgetown University, Boston College, Vanderbilt University and the University of Connecticut to study education, business, communications and economics. The only public high school in New Canaan, the school was built in 1971 on grounds donated by the Lapham family and recently underwent a $60+ million renovation. Both of the school’s average SAT and ACT scores surpass the national average, coming in at 1900 and 30, respectively. Many AP and Advanced Placement courses are offered and 92% of students who took AP exams in 2014 received grades of 3 or better on the test while 74% received scores of 4 or 5. Students opine that the academics and school spirit are the best things about New Canaan High, and also advise incoming students not to be afraid to ask for help from teachers. Over 120 of the 128 faculty and administration members hold a master’s degree or higher. 1,343 students are enrolled in grades 9-12. New Canaan’s per pupil expenditure for 2013-2014 was $18,641.00. The school is ranked 2nd in Connecticut. This nationally recognized high school can be found in the Bloomfield Township of Michigan. There are International Baccalaureate courses and curricula students are expected to enroll in, enabling students to earn an IB diploma as well as a general high school diploma. In 2017, 92% of students earned their IB diploma. Although IA offers many extracurricular activities, students are also permitted to participate in activities at their home schools such as marching band and sports which IA does not offer. IA does offer FIRST Robotics, scuba diving classes, buildOn, Forensics, a Gay-Straight-Whatever Alliance, Honors Society, Model UN and more. It stands to reason that IA considers itself an international school. The U.S. News & World Report named IA the Best Public IB Program in the nation. 1,336 students are enrolled in grades 9-12. IA has no school-sponsored sports. Glenbrook South High School is known among its students for its sense of community and school spirit. Located in the Northfield Township of Illinois, 2,693 students attend grades 9-12. The school is known for its diverse population; nearly 10% of the student body are from minority groups. GBS has 24 Advanced Placement courses, more than 60 clubs and activities and 29 interscholastic and club sports. 89% of students earned AP scores to qualify for college credit. GBS also houses the Glenbrook Academy of International Studies, a school-within-a-school four-year program intended to give students a more global perspective. The graduation rate is 94%, with students going on to pursue majors in biology, psychology, business, engineering and education at 149 different institutions throughout the world, such as the University of Wisconsin, the University of Illinois at Urbana-Champaign, DePaul University and Indiana University. Glenbrook South High is ranked 6th in the state of Illinois. Glenbrook South is highly regarded for its facilities, housing an auditorium that seats 1,500, multiple labs, music and fine arts rooms, a media center, learning center, greenhouse, an activities center, TV and radio studios and a library on its 72 acres. 19.8% of students are eligible for free or reduced price lunch. Westlake High is located in Austin, Texas and is a rather large school, with 2,562 students attending grades 8-12. Academically speaking, 98% of students are proficient in reading while 95% are proficient in math. The average SAT score is 1960 (above the national average) and its mean ACT score is 30 (also surpassing the national average). One particularly notable program at the school is the theater department’s Technical Theater program, which provides students with the opportunity to learn in-depth the aspects of behind-the-scenes theatrical production. The Tech Crew of this program records and broadcasts every home football over local cable after it’s played. The orchestra and band programs have also received notoriety, the orchestra competing in UIL each year and the band receiving the Texas State Honor Band three times. The school's 97% graduation rate contributes in part to the number of students who go on to study at the University of Texas in Austin (357), Texas A&M University (157) and Vanderbilt University (102). Popular majors for Westlake High graduates include pre-medicine, biology, business and psychology. Westlake High is ranked 1st in the state of Texas. The school is rather diverse; 3% multiracial, 9% Asian, 12% Hispanic and 73% white. Located within the San Jose metropolitan area, Saratoga High School is nationally recognized for its academics. There is an excellent variety of course choices, including dozens of AP and Honors courses, available to students. Technology is considered a crucial part of the classroom experience at Saratoga High, with teachers using it on a daily basis. Grades 9-12 are comprised of 1,384 students who graduate at a rate of 98%, with 97% going on to enroll in college. 20% of the student body participate in the Saratoga School Marching Band, which has performed in the Macy’s Thanksgiving Day Parade. The school grounds house an artificial turf football field, 8 tennis courts, a quad, an all weather track and an Olympic-size swimming pool. The football team has won five Central Coast championships. The chess team, drama department and spelling bee team have all produced national champions. The High School GPA (25th-75th percentile) is 3.40-3.91. Named for Horace Staples, who founded the school in 1884, Staples High is ranked 3rd in Connecticut. Originally built due to the "town’s lack of progress in education," in Horace Staples’ eye, the school is now known for its academics, facilities and teachers. Beyond academics, the school’s newspaper, Inklings, has been awarded the Columbia Scholastic Press Association gold medal every year since 2000. The graduation rate is 17% above the national average, at 98%, with many students opting to study business, psychology, communications and economics at top schools such as Vanderbilt, the University of Connecticut, the University of Michigan and Boston University. The first graduating class of Staples High School was comprised of six girls who earned their diplomas in 1887. Grades 9-12 are made up of 1,832 students; the school’s first student body in 1884 was comprised of just 60 students. The school’s average SAT and ACT scores are above the national average (1920 and 30). 2.7% of the student body are eligible for free or reduced price lunch. Pascack Valley High School is recognized as the 25th best public high school in the state of New Jersey. PVHS facilities include 4 tennis courts, a softball field, a baseball field, a track around the football field and several wings added to the athletic complex and auditorium. The school’s mean SAT score is above the national average, at 1780, while its mean ACT score comes in just above the national average at 27. 99% of students graduate on average and 96% continue on to study at such esteemed schools as Rutgers University, the University of Delaware, Penn State and the College of New Jersey. Popular majors for Pascack graduates include nursing, education, communications, psychology and business. 1,237 students are currently enrolled. There are 14 Advanced Placement courses offered in addition to Honors classes. As part of the 1:1 eLearning Initiative, every student, teacher and administrator at Pascack Valley High has a laptop for educational use. Based in San Jose, California, Lynbrook High School is ranked as the 12th best public high school in the state of California and is nationally recognized for its academics. As a matter of fact, the school is recognized as one of the best high schools in the San Francisco Bay area. Housing prices reportedly rose in the surrounding area due to the school’s academic reputation. It ranks 6th in the state based on its API scores, which are 201 points higher than the state average (excluding magnet schools). The average SAT score of Lynbrook students well surpasses that of the national average, ringing in at 2130. The school offers 17 Advanced Placement courses and 8 Honors courses. The graduation rate is a high 99%, with a large percentage of students continuing on to study at top colleges in California, especially the University of California system. Popular majors for graduates include computer science, business, biology, economics and psychology. There are currently 1,768 students attending Lynbrook High. Facilities include a gym, swimming pool (there is a water polo team), tennis courts, basketball courts, football, baseball, soccer and hockey fields and a rubber track. Just over 4% of students are eligible for free or reduced lunch. Henry M. Gunn High School, located in Palo Alto, is ranked 4th in the state of California. Recognized for its academics, educational outcomes and spirited rivalry in extracurriculars, Gunn High strongly prioritizes students' transitions to higher education. There are 22 Advanced Placement classes (for which 93% of students scored 3 or higher and 54% scored a grade of 5) and eight honors classes. 89% of students are proficient in math and 89% are in reading. Gunn High is also known for its STEM program, the U.S. News & World Report having rated the school 4th in the nation in 2012 for Science, Technology, Engineering, and Math education. Gunn has also seen its students as national semifinalists in the Siemens Competition and the Intel Science Talent Search. Project Lead the Way (PLTW) is hosted at Gunn High, enabling students to explore digital electronics and engineering design. The graduation rate is 96%, with 80.2% of students continuing on to study at four-year colleges, many of them California state colleges, majoring in subjects such as economics, computer sciences, business and biology. 1,885 students are enrolled, creating a very diverse student body; 43% white, 40% Asian, 8% Hispanic, 5% multiracial and 1% African American. The school was named for Henry M. Gunn who served as superintendent of Palo Alto from 1950 to 1961 (the school was founded in 1964). 8.2% of students are eligible for free or reduced price lunch. Oxford Academy in Orange County is nationally recognized for its academic excellence and its rigorous entrance procedure. The school’s mission is to prepare students for entrance into a college or university. A mixture of Advanced Placement and Honors classes are available. All students are required to take the Business of Advanced Science course in their junior year. There are 42 faculty members and 1,128 students currently enrolled and studying very seriously, learning with an eye on the future. And the student body is notably diverse, with 27% of students coming from homes where English is not the primary language; twenty-six different languages are spoken among these students. The student body is comprised of grades 7-12, with 200 spots available for entering 7th graders. Student selection is limited to 7th, 8th and 9th graders only. Ranked 3rd in Pennsylvania, Lower Merion High School is widely known for its school spirit and stellar academics. Both Lower Merion’s SAT and ACT scores are above the national average as well (1940 and 29, respectively). Students often participate in extracurriculars such as the award-winning jazz band, educational service projects that take students abroad, or one of the state- and district-recognized sports teams such as soccer, ultimate frisbee, basketball or swimming. Seniors participate in a Senior Project that enables them to gain experience and explore the business world during their second semester. Lower Merion is also known for its students’ fundraising capacity, with many of the school’s clubs fundraising for nonprofits. One example is the SUAVE club (Students United Against Violence Everywhere), which raises about $10,000 annually. The average graduation rate at Lower Merion High is 97%, with 86% of students continuing their education at such four-year colleges as Penn State, the University of Pennsylvania, the University of Pittsburgh and Temple University. 8% enroll in two-year programs and 1% in training program. Popular majors for these high school grads include chemistry, psychology, business and biology. Graduates have gone on to contribute to society in a variety of ways, as Olympic gold-medal winners, Fortune 500 CEOs, hip-hop legends, medical pioneers, artists, university presidents and other elected officials. 1,259 students are currently enrolled in grades 9-12. 10.3% of the student body are eligible for free or reduced lunch. Japanese language classes are available to upperclassmen only. Pascack Hills High is quite small when compared to its counterparts: just 797 students are enrolled in grades 9-12. There are currently over 66 teachers employed and a student to teacher ratio of 11.6:1. There are 14 available AP classes and a variety of online class options for students to take. The average graduation rate is high as well, with 99% of students going on to attend colleges like Rutgers University, the University of Delaware, Penn State and New York University. PHHS grads tend to major in subjects such as communications, pre-medicine, biology, business and psychology. Students say that though there is a variety in course options, the school itself has a strong sense of unity and spirit. Students describe their school as "spirited, competitive and advanced." When asked, 100% of students say they would want to attend PHHS if they did it all over again. Opening its doors in 2001, Coronado High is still a fairly young school and was named for the Spanish conquistador Francisco Vásquez de Coronado. Academics include Advanced placement courses ranging from psychology to U.S. History, from chemistry to computer science. AP and honors courses are available for students to take in a variety of subjects. Students generally feel it is relatively easy to get into the classes they need and that they get a lot out of their core requirements. There are over 50 clubs and activities for students to participate in, including a globe-trotting marching band, a Forensics club, foreign language clubs, theatre, choir, the Coronado Film Institute, AP club, FIRST Robotics competition club, Young Democrats and Young Republican clubs. The average graduation rate is also high and above the national average, at 89%, with roughly 40% of graduates attending four-year universities and 30% attending two-year colleges. The High School GPA (25th-75th percentile) is 3.25-3.80. 3,039 students are currently enrolled in grades 9-12. Coronado received grades of A’s and B’s in all ranking areas, excluding food. Troy High in Orange County is a magnet school, as well as a California public school. The school is acclaimed for its International Baccalaureate and Troy Tech Programs, has the #1 AP Computer Science Program in the World and is ranked the #6 best STEM school in the nation and #3 for the state by the U.S. News and World Report. Students in the Troy Tech Program must choose between a Fundamentals of Programming or Computer Logic and Algorithms pathway. The school's science and technology magnet program has been in existence since the late 1980’s and the school has won the U.S. National Science Olympiad ten times, among winning other competitions. 2,565 students are currently enrolled in grades 8-12 at Troy High. With a graduation rate of 97%, 16% higher than the national average, a large majority of the students take their classes seriously. 76% of graduates go on to attend four-year universities, while 23% go on to two-year colleges. Troy was honored as a New American High School by former president Bill Clinton in 2000, just one of 27 high schools nationwide. Students must participate in a senior internship comprised of 150 credit hours. Officially renamed the William A. Shine Great Neck South High School in 2006, this NYC metro area high school is ranked 7th overall in New York. Honors and accelerated courses are offered in addition to some Advanced Placement classes. As a comprehensive high school, Great Neck is required to meet the needs of students who are at risk of academic failure and therefore implements programs such as the Peak Experience, a two-year program beginning in 9th grade intended to help each student meet their individual academic and behavioral needs. Of the schools 1,280 students, 9.1% are eligible for free or reduced price lunch. Students also enjoy a number and variety of clubs available to them, including the school opera and an Asian Culture Society which hosts an extravaganza filled with Asian art, theater and dance each year. The average graduation rate at GHSHS is 99%, leading 98% of its students to continue their studies at popular colleges such as New York University, Binghamton University SUNY, Cornell University and Columbia University. These graduates often opt to major in pre-medicine, business, psychology or biology. The school houses just 75 classrooms for grades 9-12. More than three quarters of students who were asked whether they would still attend GHSHS if they could do it all over again said yes. The school hosts a Blazing Trails-4-Autism event on campus. Millburn Senior High School in New Jersey houses 1,477 students in grades 9-12. Nearly three-fourths of students say that competitiveness is what distinguishes MSHS from other high schools. Graduates go on to major in subjects such as business, economics, communications and history at popular colleges like Penn State, New York University, the University of Pennsylvania and Tulane. In addition to high-performing competitive athletics, the school’s average SAT and ACT scores are both well above the national average -- 2010 and 30, respectively. Numerous extracurricular groups are active on campus, including a Forensics debate team, Key Club, and Literary Magazine. The student body is predominantly white and Asian. Actress Anne Hathaway is a notable alumnus. John Jay High School, founded in 1956 in Westchester County, is known for its wide range of extracurriculars, from sports like skiing and bowling to a slew of clubs spread across the arts. The average ACT score is 29 and the average SAT score is 1910 -- both above the national average. Outstanding extracurriculars include an architecture program, vocal jazz and acapella groups, mock trial and Model United Nations groups. 99% of students graduate on average ― many of them going on to major in liberal arts, political sciences, English or engineering at top schools such as Boston University, NYU, Cornell University and Northeastern University. The student body is comprised of just 1,201 students enrolled in grades 9-12. The John Jay Library Information Center is a robust online platform students can use to access a range of research tools. John Jay runs a permanent "Sustainability & Wellness Initiative" that distributes newsletters that share healthy recipes and news on local environmental efforts. Scarsdale Senior High School, founded in 1917, prides itself on the caliber of its academics, distinguished most for its mathematics and science courses. 98% of the 164 teaching faculty hold master’s degrees, and 12% hold doctorates. The student to faculty ratio is 9:1; there are 1,435 students currently enrolled at Scarsdale. The school’s average SAT and ACT scores surpass the national average as well, coming in at 2050 and 31, respectively. Although the workload is considerable, the graduation rate is 99% on average. A personalized "Senior Options" program encourage seniors to take an active role in the community in an area of interest. Students go on to study business administration and management, English, communications and liberal arts and humanities at schools such as NYU, Boston University, Cornell and Vanderbilt. Despite the intense workload, students agree that they feel prepared for the future and their continuing education. 0% of students are eligible for free or reduced price lunch, as compared to the national average of 46%. 78% of students who were asked whether they would still attend Scarsdale if they could do it all over again said yes. Founded in 1969 and Ranked 51st in California, Monta Vista has an average graduation rate of 99%. It is a National Blue Ribbon School (one of only three in the state of California in 2014) and has recently undergone extensive modernization renovations with the addition of a new track and field facility, a cafeteria, a student union and upgrades to other athletic facilities. 15 AP classes are offered at Monta Vista, along with alternative college credit earning courses and academic tracks. Students go on to pursue majors in computer science, biology, business and economics at schools like the University of California, the University of Southern California, Stanford and Santa Clara University. Just under 2% of students are eligible for free or reduced price lunch, as compared to the national average of 46%. Monta Vista was named a National Blue Ribbon High School in 2014, one of only three schools to receive the honor in California. Monta Vista's digital student run newspaper, El Estoque, is a premier student paper, with extensive subsection on national news and school-specific coverage. Champlain Valley Union High School is known for both the quality of its academics and athletics; there are currently 1,323 students attending Champlain Valley. Champlain's average ACT score is three points above the national average, at 29, while the average SAT score is 100 points above the national average, at 1820. On average, 93% of students graduate, continuing their education at postsecondary institutions like the University of Vermont, Northeastern University, McGill University and Boston University. Preferred majors of former CVU graduates are business, biology, political science, psychology and pre-medicine. The study body is 95% white/Caucasian. A unique "Graduation Challenge" project at CVU allows all seniors to dedicate much of their final year to a personalized research project. Upper Arlington High School is ranked 3rd in the state of Ohio. At Upper Arlington, a prototype "Quality Profile" report that analyzes school data shows significant successes for the school in . The report also outlines steps the school will take to improve scores and benefit its student population. The school will be implementing a College Credit Plus program that will offer a third way for students to earn college credits in addition to AP and IB courses. The school's 1-to-1 digital technology program aims to provide all students with the technological means to enhance learning and personalize instruction. 98% of the 1,765 students enrolled in Upper Arlington’s 9-12 grades are proficient in math and reading. And both the average SAT and ACT scores at the school surpass the national averages, registering at 1940 and 28, respectively. There are 69 clubs and 32 varsity sports groups on campus. On average, 97% of students graduate and a number go on to pursue a college degree at the likes of Ohio State University, Miami University, Ohio University and the University of Cincinnati. Popular majors for Upper Arlington grads include nursing, business, psychology, biology and political science and government. Students opine that there is community pride that distinguishes this school from others and that the educational program and helpful staff are two of the best things about Upper Arlington. 91% of the student body is white. Founded in 1962, Corona Del Mar High has just over 2000 students enrolled in grades 7-12. A new Middle School Building was added in 2014 and in 2015 a 29,000 square foot, $16 million performing arts building was completed. 98% of students graduate from Corona Del Mar on average -- that’s compared to the national average of 81%. Furthermore, 92% of students polled agreed that the high graduation rate and high college attendance rate are what distinguish CDM from other high schools, in addition to the outstanding AP program. 50% of students who were asked whether they would still attend Corona Del Mar High if they could do it all over again said yes. 5.3% of students are eligible for free or reduced price lunch. Founded in 1957 and significantly remodeled in 2000, the new campus features include a theater, two gymnasiums, a weight room and racquetball court, as well as a 12,500 square foot library. AP and IB courses are offered, with over 60% of seniors taking at least one AP course. 92% of the 1,424 students enrolled in 9th-12th grade are considered proficient in reading and 89% are considered proficient in math. The school’s average SAT and ACT scores are above the national average as well: 1890 and 29, respectively. Upper St. Clair has an excellent average graduation rate of 99%, with many students going on to college. Penn State, the University of Pittsburgh and Duquesne are popular choices. Students often major in subjects like engineering, biology, business and psychology. Upper St. Clair conducts educational summer camps, 1:1 learning initiatives and alumni reunions. More than half of the students who were asked whether they would still go to Upper St. Clair if they could do it all over again said yes. Located in a beautiful residential neighborhood on the north shore of Long Island, Roslyn High is above the national average for many metrics, including educational outcomes and proficiency levels. The school offers 20 AP classes, an award-winning research program, 50 clubs and student organizations, year round athletics, and a creative and performing arts program. Technology is integrated into every classroom via SmartBoards and ipads. The average SAT score of Roslyn students is 1970 and the average ACT score is 30. 95% of the 1,096 students enrolled in 9th-12th graduate on average and continue on to study at 4-year institutions such as NYC, Cornell University, Boston University, Tulane University and the University of Michigan at Ann Arbor. The author and film director Michael Crichton is a notable alumnus. 67% of students who were asked whether they would still attend Roslyn High if they could do it all over again said yes. As one of California’s top public high schools, Redwood is recognized for great academics and a renowned theater art programs. The main campus has recently undergone more than forty million dollars of renovations and improvements, including new laboratory space, a 40-meter pool, a new gym and a fine arts center. The school’s college admissions test scores surpass the national average, with the SAT scores averaging out at 1910 and the ACT scores at 29. Continuing this trend is Redwood’s graduation rate: an average of 98% of the 1,458 students attending Redwood High graduate. Many go on to pursue higher education at colleges like the University of Texas at Austin, the University of Southern California and the University of California. Just 5.8% of students are eligible for free or reduced price lunches, compared to the national average of 46%. Most students agree that what sets Indian Hill apart is its commitment to preparing students for college. The extensive college prep curriculum includes 21 AP courses. Indian Hill’s educational outcomes include an average SAT score 1920 and average ACT score of 30, both of which are above the national average. 95% of students graduate on average as well. Students are involved in a number of extracurriculars, including a nationally recognized Latin program, an extensive tennis program and a champion mock trial team. Many of these students opt to continue their education at colleges like Ohio State, the University of Cincinnati, Miami University and Ohio University. Popular majors for Indian Hill grads include marketing, political science and government, business and psychology. 77% of students who were asked whether they would still attend Indian Hill High if they could do it all over again said yes. Only 716 students are enrolled in grades 9-12. Indian Hill was named the Enquirer Media Top Workplace for 2015. Located in Franklin County, a metropolitan area of Columbus, New Albany High School's campus includes a natatorium built in 1996 for the swimming and diving teams, The McCoy Center for the Arts, a 35,000 square foot multi purpose art center with auditorium and rehearsal studios built in 2008 and a new artificial turf "Veteran’s Field" football field built in 2013. Students opine that it is relatively difficult if not very difficult to get mostly A’s here and that a majority of the student body take their classes very seriously. Many students participate in academic clubs outside of regular class times as well. It is fairly easy for students to get into the classes they need, of which there is a wide variety, from anatomy to ethics. Technology is often used as part of the classroom experience. Although the academics are challenging, students agree that in general the workload is manageable and that they get a lot out of their core requirements. 98% of students graduate on average. The High School GPA (25th-75th percentile) is 3.30-3.90. 1,200 students are enrolled in grades 9-12 at New Albany High. Palo Alto High School, known locally as "Paly", can be found in Santa Clara County in the San Jose area. It was founded in 1898 and lies adjacent to the Stanford University campus. Student publications, including The Campanile, Verde and The Paly Voice, are all award-winning and nationally recognized for their excellence in scholastic journalism. A new 23,000 square foot Media Arts Center with state-of-the-art technology was unveiled in 2014 and services the numerous student media groups. A robotics team was founded in 1996 and has 85 members. 23 varsity sports teams and several athletic clubs comprise the athletic department. Educational outcomes include an average SAT score of 2040 -- 320 points above the national average. The average ACT score at Palo Alto High is 31 -- five points above the national average. 1,852 students are enrolled in grades 8-12. 94% of students graduate on average -- that’s compared to the national average of 89%. Grads go on to pursue majors in subjects like economics, computer science, business and psychology and popular colleges such as the University of California system, Stanford University, NYU and Santa Clara University. Notable alumni include numerous award winning actors, directors, authors, Olympic athletes and musicians. When polled, students say they really enjoyed the journalism, choir and athletics programs. Over half of the students who were asked whether they would still attend Palo Alto High if they could do it all over again said yes. Hinsdale Central High is a public school located in the Downers Grove Township of Illinois. Established in 1879, and known as "Central" to the local community, the school is known for its academic excellence and large amount of spending per student. The educational outcomes of this high school are outstanding, with an average SAT score of 310 points above the national average (at 2030) and an average ACT score 4 points above the national average (at 30). The student body is comprised of 2,781 individuals enrolled in grades 9-12. An average of 97% graduate, as compared to the national average of just 89%. The Character Counts! organization named Hinsdale as the National School of Character in 2009. Over 100 student clubs are available, many of which have received top recognition. The school publication "Devil’s Advocate" was awarded the National Scholastic Press Association Newspaper Pacemaker Award in 2012. Many Hinsdale Central grads continue their education at postsecondary institutions like the University of Illinois at Urbana-Champaign, the University of Wisconsin, Vanderbilt University and the University of Michigan-Ann Arbor. Popular majors for these students include business, psychology, biology, engineering and computer science. Notable alumni include Olympic athletes, CEOs, and actresses. 96% of students who were asked whether they would still attend Hinsdale Central High if they could do it all over again said yes. A new $5 million dollar library graces the campus. Weston High School is a public school located in the Boston metropolitan area of Weston Town, Massachusetts. This relatively small institution has a student body of 755 enrolled in grades 9-12. The campus embodies a modern glass design to provide natural lighting and was one of the most expensive to be built in the nation in 1961. Its average SAT score is 1930 -- 210 points above the national average. Its ACT is above the national average as well, at 30. Honors courses are offered in all major subject areas, and most students participate in after school extracurricular activities, including dance, theater, music, athletics and school publications. On average, 95% of the Weston High students graduate. They go on to attend colleges such as Boston University, Northeastern University, Vanderbilt University and Boston College. Popular majors for them include business, psychology, communications, pre-medicine and economics. A new 23,000 square foot science wing was opened for the 2012-2013 school year. 3.6% of students are eligible for free or reduced price lunch, compared to the national average of 46%. Located in the San Francisco metropolitan area, Miramonte High School is nationally recognized for its academics. A majority of students agree that it is relatively if not very difficult to get mostly A’s at this school, however there is a variety of classes available, from AP Physics to standard Literature. The school offers an extensive counseling and college preparatory program. 1,277 students are enrolled in grades 9-12. The school proudly sends 98% of it’s students on to college. The school offers a unique public speaking program founded in 1977 that has grown to include over two hundred students from all grade levels. Electives are balanced with academics and it is fairly easy for students to get into the classes they need. The water polo team has achieved national recognition, and has generated many all-American and Olympic athletes. The WISE independent research project is popular with second semester seniors, and entails independent research on topics ranging from astrophysics to photography. The High School GPA (25th-75th percentile) is 3.33-3.89. Los Altos High School can be found in Santa Clara County in the San Jose metropolitan area. Founded in 1954 on the site of an orchard, the school has recently undergone an extensive renovation, and now features a new science and art building as well as a new athletic field. The school’s educational outcomes are also great: the average SAT score at Los Altos is 1970 (250 points above the national average) and the average ACT score is 30 (4 points above the national average). The school has an extensive music and performing arts department that includes a competitive marching band, symphonic orchestra and world-traveling vocal ensemble, as well as a broad and diverse array of over 50 student groups and highly competitive athletics. 98% of Los Altos students graduate on average and go on to attend schools like the University of California, Stanford University, Santa Clara University, University of San Diego and California Polytechnic State University. 20.2% of students are eligible for free or reduced price lunch, compared to the 46% national average. Los Altos High was ranked as having the 27th Best Academics for a U.S. Public High School. The Lawrenceville School, founded in 1810, is considered a National Historic Landmark; this is reflected in the campuses’ old-world architecture and landscaping. Instructors at Lawrenceville use the Harkness Method, which encourages Socratic round-table discussion and ample open dialogue between teacher and student. Unique to the Lawrenceville experience is its traditional British-style House system, where students live together with faculty in a family-like atmosphere. Each House has its own dining hall and common room, an elected student government and the ability to host and sponsor social events, often in friendly competition with the other Houses. Students at Lawrenceville have an average SAT score of 2100 and an ACT score of 32. As part of The Lawrenceville School’s Green Initiative, the campus features a Solar Farm, offsetting 6,388 metric tons of CO2 every year, which is equal to the annual emission output of 1,253 automobiles. A neighbor to Princeton and a longtime friend of its university, students often visit the Princeton campus on weekends by way of a daily campus-to-campus shuttle. Phillips Exeter Academy, informally Exeter, was founded by American education patron Jon Phillips in 1781. The preparatory school is also known for its pioneering and development of the Harkness Method, which is now widely used by private schools around the world. 100% of Exeter courses are taught in this manner, and the school features a 5:1 student to teacher ratio, so attendees can be sure of an intimate classroom experience. Additionally, Exeter exceeds its peers in diversity, which can be lacking in private college prep schools. Five major ethnic groups are represented at the institution, and 27% of the student body identifies as Asian. With an emphasis on external academic experience, Exeter features many global and domestic options for its off-campus study program, including a political internship in Washington, D.C. Athletes and fitness enthusiasts have plenty of options on campus, including (but not limited to) ten international-sized squash courts, two hockey rinks, an eight-lane swimming pool, basketball and tennis courts, indoor dance studio and cycling room and a boathouse for water recreation. Lakeside School counts Microsoft founders Bill Gates and Paul Allen as its alums, both known for their self-driven innovation and independent thinking. This legacy is a testament to the school’s principal philosophy, which emphasizes "effective educators to lead students to take responsibility for learning" (excerpt, Lakeside Mission Statement). The institution further demonstrates this with a wide range of study abroad programs, as well as participation in the Global Online Academy, an independent learning platform designed to supplement accredited coursework and engage students in a more diverse academic experience. In addition, the student body is a very balanced mix in regard to race and gender; 50% of attendees identify as being ‘of color,’ and boys and girls are tied for enrollment rates. Lakeside School has been co-educational since 1971, as is reflected in its consistently equal gender balance. Lunch is good and healthy. According to one student, "[They have] their own chefs and each meal is served with care, they really care for what they are doing and the food is great!" Lakeside also has an extensive food philosophy aimed at holistic health and academic success. The Latin School’s urban campus in the Gold Coast neighborhood boasts highly modern amenities reflective of its location, and at the same time holds a rich and unique history. Founded in 1888 by a group of parents seeking a better education for their children, the school’s first class included ten students and was taught by Mabel Slade Vickery, who had been specifically requested to open the school. It has since grown to include an elementary, middle, and high school with over 1,100 students and continues in the legacy of instructive excellence. Students at Latin are encouraged to participate in the shaping of their coursework and path, with the option for independent study, in which they work one-on-one with an advisor to create their own program. Additionally, seniors can complete their studies while participating in the surrounding Chicago community through Latin’s year-long Capstone Studies Program. The school features an environmentally-friendly green rooftop and garden and was awarded the LEED Gold Certification in 2012. The Uptown Partnership program encourages students to participate in community service projects, such as shelters, soup kitchens, and other inner-city schools. Latin is currently partnered with over 20 such organizations to provide a diverse outside-the-classroom experience. The Latin School claims Chief Judge of the US Court of Appeals Douglas H. Ginsburg and Former First Lady Nancy Reagan as alumni. The expansive 312-acre campus of Albuquerque Academy is home to a diverse student body with an outstanding academic reputation; average GPA ranges from 3.75 to 4.0. The student body is also known for turning out a high percentage of AP Scholars and National Merit Scholarship finalists. For students and families who desire a prestigious private education but face financial limitations, Albuquerque Academy is a great choice, offering financial assistance to 25% of its student body through several large endowments, as well as supplemental programs like reduced fare lunch and textbook discounts for low-income attendees. The school features a separate team of guidance counselors specifically for the college application and admission process, so students can be sure of one-on-one assistance as they move on to higher education. Simms Library is home to over 140,000 volumes and is the tallest (and perhaps most iconic) building on campus. Based upon the Country Day School model, Detroit Country is a co-educational institution that emphasizes art, academia and athletics equally. Each student, in addition to full coursework, must participate in two competitive ‘sports’ (one of the two can be a non-athletic activity such as debate team or chess) and are encouraged to participate in both clubs and community service. Nearly 70% of teachers at Detroit Country Day School hold a high degree in their field, and the student to teacher ratio is nine to one, ensuring small classes. Also of note is the school’s membership to the International Baccalaureate Program, which is a supplementary coursework certification with a focus on international education and cultural awareness; IBP completion can help students gain admission to competitive higher education institutions. A nod to the school's’ emphasis on creativity, the Seligman Family Performing Arts Center is a 700-seat facility with high-level sound and lighting, acoustics, and projection system. The on-campus auditorium is used by both students and professional actors, musicians, and orchestras. Alumni include multiple NBA and NFL athletes, including NCAA champion Shane Battier and Jonas Gray of the New England Patriots. This co-educational day school is the product of a 1991 merger between the Havard School for Boys and the Westlake School for Girls. It has since grown to a body of 1,600 students, but maintains a student teacher ratio of eight to one. Of the 194 full-time faculty, 161 hold either a master’s or doctoral degree. The school commits an average of eight million dollars in student financial aid each year; approximately 20% of attendees receives some amount of assistance. Among its unique partnerships is The Mountain School, which allows high-achieving high school juniors to spend a semester earning school credit at a rural farm in Vermont. The school offers 27 athletic programs, and a total of 92 teams compete throughout the year, including boys and girls water polo, lacrosse, fencing, and an equestrian team. With a unique history beginning in 1893, The Harker School began as a small institution for boys, later became a military academy, and settled as a co-educational preparatory school in 1998. Hailed for its scholarly achievement, it was recently called "The it school for our next Einsteins" by the San Jose Mercury News. According to the school’s Mission Statement, they "achieve academic excellence through the development of intellectual curiosity," which is demonstrated in their range of curriculum and elective options, most notably STEM Research and the Business and Entrepreneurship department. In addition to DECA (Distributive Education Clubs of America), the latter offers a Harker-specific TEDxTalk program, in which students are encouraged to explore the startup culture and innovate entrepreneurship. Harker has had over 20 finalists in the Siemens Competition for Math, Science, and Technology since 2007, the most in the state. Students have access to three libraries on campus with extensive research and database access. The College Preparatory School has an intimately-sized student body of 364, and with 57% of students identifying as a minority-race, it is also considered diverse. The small school does not lack in academic rigor. To help new students transition into this four-year institution, the school offers a special program, called 2Prep, which gives incoming freshmen extra guidance and assistance as they adjust to the coursework and social environment. All students at The College Preparatory School take a week-long break from traditional classes each spring (called "Intraterm"), to participate in exploratory learning, such as community service, work study or out-of-state trips. According to Forbes.com, 29% of College Preparatory students are accepted into Ivy-Tier universities. College Preparatory is home to an award-winning debate team, which reached the final round in 2012 at the National Speech and Debate Tournament. Polytechnic School, or Poly, was the first non-sectarian and non-profit school founded in California. From its inception in 1907, the private institution has placed a great emphasis on a well-rounded education (the name means literally "many arts"), and in recent years, has earned a strong reputation for college preparation. Additionally, 71% of graduating seniors, on average, are accepted into highly-competitive universities. As a diverse institution, 46% of its student body identifies as non-white, as does 27% of the school’s faculty. Almost 90% of attendees participate in interscholastic sports; this enthusiasm for athleticism is reflected in the school’s record of 140 Prep League championships. The Christian faith-based coeducational school sits on a 180-acre wooded campus in Atlanta’s Buckhead neighborhood. The Upper School has an average of 800 enrolled annually, and 22 of its seniors earned a National Merit semifinalist honors in the most recent graduating class. Westminster also offers college counseling and admission prep as early as junior year for most students and provides comprehensive courses for SAT prep. Along with a higher-than-average 75th percentile GPA of 4.0, the school set the record in Georgia in 2014 for most accepted seniors to Harvard University. The Westminster Schools hold one of the largest endowments of K-12 education institutions, estimated at $239 million dollars. WiredCats, the school’s robotics team, has won 25 awards since incorporating in 2008. The school hosts 91 athletic teams throughout the year, and includes programs such as football, soccer, lacrosse, squash, golf, gymnastics, and cheerleading. Rye Country Day School, or RCDS, combines traditional and innovative methods of instruction to give students a competitive education. Known for its intense college prep, the school also emphasizes community service and learning outside the classroom. What the institution calls Public Purpose follows their motto of "Not for Self, But for Service," and is a part of the required curriculum for all students. In lieu of a final project, Seniors spend their last week on campus designing and implementing a community service plan as the culmination of their education. An early adopter of school-wide technology, Rye Country implemented its "Laptop Program" in 1999 and has expanded to require (or provide, if needed) a computer for each student. Additionally, all classrooms are equipped with interactive Smart Boards. RCDS grants approximately $4.4 million in financial aid annually to 17% of attendees. Epgy Online High School is an exclusively online program designed for high-achieving students to gain access to advanced high school and college-level courses. Offered through Stanford University, the highly competitive school (applicants must submit ten essays, along with other samples of work) allows students to set the pace of their education through virtual classroom lectures, forums and discussions. Many graduate early, and some earn college credits through the program. For those who worry about missing the social interaction and experience of a traditional high school, Epgy has over 50 student and teacher run clubs around the country, as well as several yearly meetups for events such as graduation and homecoming. Students can choose from tutor assisted learning or, for a more economical option, independent study. Both feature personalized online classroom technology and connectivity. The online high school is the first of its kind to integrate secondary and postsecondary classes through a diploma-granting program. Marlborough School is the oldest independent all-girls school in California, and one of the most competitive in admission. Although relatively modest-sized, it is distinguished by rigorous academic standards. The school boasts 89, to be exact, with an additional 157 standard-level courses. Additionally, it claims distinguished science and technology programs through the Leonetti O'Connell Family Honors Research Department, which emphasizes innovative and hands-on learning. Marlborough was also featured in a New York Times article in about women’s achievements in science education and research. 40% of Marlborough’s student body identify as women of color. Students at Marlborough, who call themselves Violets, are required to wear school uniforms year-round. St. Paul’s School is an Episcopalian boarding school with an emphasis on faith-based education and college prep. The highly selective institution, with a student body of only 531, is located on a 5,000-acre plot in New Hampshire. 71% of instructors hold an advanced degree, and with a student to teacher ratio of five to one, attendees can expect tailored instruction in a small class setting. The school leans heavily on classic methods of social infrastructure: students live in assigned British-style Houses, with boys and girls’ dormitories kept separate; bi-weekly formal dinners are held for the entire school. St. Paul’s School, in addition to the challenging required curriculum, offers intensive courses over the summer through its Advanced Studies Program. St. Paul’s claims many notable alumni, including former Democratic presidential nominee and current Secretary of State John Kerry. The first squash courts in the US were built on the St. Paul’s campus in 1884. This private, secular all-girls institution features an intimate-sized high school of 450 students and a 100% college acceptance rate. Girls in attendances, called Hockadasies after their flower mascot, have the option to live off campus or board in one of the two dormitories. In addition to standard course options, Hockaday offers a wide range of unique classes such as Business Chinese, Theater Dance, Neuroscience, Caesar and Vergil Latin and Journalism. Girls are also encouraged, but not required, to participate in community service through the Dr. William B. Dean Service Learning Program; offering opportunities to volunteer with causes such as homelessness and hunger, underprivileged youth and elderly in the community. All students are required to wear uniforms in the school’s colors of green and white. Laptops are assigned to each student from 7th through 12th grade, as a yearly loan, for educational and personal use. Choate Rosemary Hall, a preparatory boarding school, has been coeducational since the merger of Choate School for Boys and Rosemary Hill for Girls in 1971. It is a member of the Eight Schools Association, an elite guild of private higher education institutions, and can claim such notable political alumni as former president John F. Kennedy and two-time presidential nominee Adlai Stevenson. Unique to Choate Rosemary’s academic offerings are its Signature Academic Programs. Students can choose from a selection of specialized studies to supplement regular coursework, such as Arabic studies, environmental immersion or a study abroad experience. Those who choose to study the environment have access to the The Kohler Environmental Center, a 226-acre facility with forest, wetlands, meadows and an agricultural field used for academic study. The campus has committed to build all new construction projects under the LEED green building certification guidelines and has made strides to reduce emissions by adding additional on-site recycling receptacles and eliminating unnecessary packaging from food sold on campus. 81% of Choate Rosemary students score a 4 or 5 on AP exams. A member of the Ivy Preparatory League, Horace Mann was founded in 1887 and features a historic campus for its Upper School students, which encompass grades 9 through 12. Students can choose from 230 different courses, including studies at John Dorr Nature Laboratory, an extensive outdoor education center in Connecticut. With an emphasis on a well-rounded education, all graduates must complete a hands-on or performing arts course as well as art history or appreciation; the large, on-campus gallery displays student and faculty creations. Also unique to the institution, first aid and CPR certification (as well as the ability to pass a swim test) is required for graduation. The school recently entered a three year partnership with the Royal Shakespeare Company. Their high school athletic program is committed to building one Habitat for Humanity house each year, and their students begin instruction in the area of robotics as early as kindergarten, culminating in access to two robotics programs at the high school level -- one focused on programming and artificial intelligence, the other focused on engineering. The school gives over nine million dollars in financial assistance to approximately 16% of its students annually. Students are required to complete at least 80 hours of community service, with a minimum of 40 hours before the tenth grade. Branson’s motto, "Small but Mighty," is fitting for this 320-student high school; the institution offers a 7:1 student teacher ratio, with average class sizes hovering around 13. The primary focus is on traditional academia, but the school does offer an array of sports and clubs, including a few unique options: students can learn sailing, fencing, even join a mountain bike team. Also of note is the food service on campus, which focuses on whole, organic foods and sustainable preparation practices. Admission into Branson is highly competitive; an average of 80 students are accepted per year from over 400 applicants. The campus features two performing arts theaters and an art gallery that displays rotating student and local art. Founded in 1709, Trinity School’s first classes were held on church grounds at the north of Wall Street. The urban episcopalian prep school was called America’s Best Prep School by Forbes in 2010. Rigorous academia reflects these titles; almost all classes are considered to be at an Honors or AP level. Students’ hard work pays off, however, with Trinity graduates funnelling in the most competitive universities in the country. Trinity features a unique rooftop playfield and garden, as well as three gymnasiums and two swimming pools. A notable student organization is the Trinity Upper School Senate. Mirroring the US Senate, Senators are elected annually from each class, as well as a President, Vice President, Speaker, and Treasurer. The Upper School Senate acts much like a traditional school government, overseeing social events and representing the student body. Trinity School is the oldest continually operating school in New York City, and the fifth oldest in the United States. This college prep school is the only non-sectarian girls school in the Bay Area and offers intimately-sized classes on an urban campus. The school is also known for its high level of diversity; nearly 50% of students identify as non-white. Castilleja features a robust STEM program, with unique classes such as Sustainable Engineering and Biology and Economics of Cancer. Also part of the curriculum is The Global Program, through which students study and explore global issues and awareness throughout the year, culminating in Global Week, which features workshops, speakers, hands-on activities and service opportunities. The school boasts a six to one teacher-student ratio, and 85% of faulty hold an advanced degree. $2.5 million dollars of tuition assistance are distributed annually to approximately 20% of Castilleja’s student body. The progressive Dalton School (known formerly as The Children’s University School) is considered both prestigious and progressive. Founded in 1919 by educator Helen Parkhurst, Dalton’s curriculum and mission are built upon The Dalton Plan, which favors a tailored learning approach and emphasizes a student’s responsibility to others and the community. Although all traditional curriculum, such as math, English and history, are required, students have the opportunity to customize their method. Also of note is the required daily meeting called House, comprised of one to two facilitators and 16-20 students, which combines counsel with academic support and peer-to-peer mentoring. Dalton offers 50 athletic teams to choose from, and students have access to a 32,000 square-foot indoor facility with two gymnasiums, a weight and fitness center and a wrestling and aerobics room. Students have an average score of 2160 on the SAT and 31 on the ACT. Deerfield Academy, member of the Eight Schools Association, is considered highly selective, with an acceptance rate around 12% annually. Students and nearly all faculty live on campus through the school year, although the option for daytime-only attendance is given. With a history dating back to 1797, Deerfield, has many on-campus traditions, such as Choate Day ― the last week of the Fall sports season, in which all varsity level teams compete with rival schools. Deerfield Academy has a higher-than-average tuition rate, but distributes $8 million dollars in financial aid to 35% of its student body annually. Average class size is 15, with a student teacher ratio of 5:1. This college prep school gives students the option for day attendance or boarding; not optional is rigorous coursework. With competitive college placement a main priority, Cranbrook offers classes at a near-university level, which can pose a challenge for some students. Small class sizes and a favorable student to teacher ratio helps students succeed. The Cranbrook campus buildings, set on a 319-acre plot, are registered as a National Historic Landmark. Although the high school is coeducational, ninth and tenth grade English and History, as well as Conceptual Physics, are taught separately to each gender for educational purposes. Originally a boys preparatory school for Yale University, Hotchkiss is now a coeducational boarding institution that serves grades 9-12, as well as postgraduates. The school features a classic education, and students have the option to study multiple foreign languages, including Greek, Latin, Russian, and Mandarin. Hotchkiss is a member of the Green Schools Alliance, which is reflected in their leadership in the farm-to-table movement as a private educational facility. The school also boasts a relatively high level of diversity, with 35% of students identifying as Asian, African American, or multiracial. This is celebrated and supported by a variety of on-campus clubs and events, such as the Cultural Dress Day celebration. Hotchkiss holds one of the largest endowments of any private educational institution, due to a large gift of stock from the Goldman-Sachs firm in 1999. The campus features a professionally-sized golf course designed by renowned golf course architect Seth Raynor. The Pingry School is a Country Day institution offering a traditional education with emphasis on college prep. In addition to standard coursework, Pingry has a thriving art program, with 88% of the student body participating in arts and theater. Also special to the school is the expansive athletics and fitness department, which features 33 varsity teams. Facilities for athletes and fitness enthusiasts include two full-court gymnasiums, half olympic-sized pool and weight and and aerobics rooms, which are staffed with full-time trainers. A student-initiated Honor Code, which began in 1925, requires all students to complete ten hours of community service each year. Pingry’s graduating class of 2014 boasted 40 students as National Merit Commended Students, and eight named as National Merit Scholarship Finalists. The school’s commitment to a healthy financial aid fund ensures that all students admitted to Pingry, regardless of their family income, can afford to attend. Kinkaid is the oldest independent co-ed school in Houston, founded in 1906. In addition to core curriculum, The Kinkaid school features a special interim term, held during the first three weeks of January. With the goal of enriching through experiences, a variety of classes are offered on campus as well as off; students of all grades also have the option to travel internationally. Seniors can participate in a career building workshop, often accompanied by an internship. Also of note is their Backyard Outdoor Classroom, a 3.9 acre wooded plot, which is used by all grades to study and observe Houston’s natural ecosystems. Kinkaid devoted $169,520 to professional development for teachers in the 2014-15 school year, helping to ensure best practices in the classroom. In addition to core curriculum (most of which is considered at or above the AP level) students at Milton Academy have a wide variety of semester-long programs to choose from, both in and outside the classroom. On-campus offerings include Human Sexuality and Relationships, a favorite among attendees, as well as The Outdoor School. Off-campus, students can spend a term at Chewonski, a tactile academic experience on a 400-acre Maine coast peninsula. Also of note is Milton’s extensive amount of student literary publications -- over 100 issues from ten different groups are printed and distributed annually to students and staff -- including a science journal, The Helix, and La Voz ("The Voice"), the Academy’s Spanish language newspaper. Milton Academy features a successful speech and debate team that has competed and placed in the National Catholic Forensic League , Massachusetts Forensic League, and National Forensic League. Students have the option to live on or off-campus; about half of attendees and three-fourths of the staff utilize the school’s boarding houses. Ransom Everglades, a co-educational day school, boasts a diverse student body and faculty, with 50% of attendees and 27% of instructors identifying as non-white. It is also known for challenging coursework and high-achieving students; in 2014, the school had 115 Advanced Placement Scholars out of a graduating class of 153. In addition to academic emphasis, the school also strongly encourages giving back to the community. All of its 70 sports teams have a required community service element, and 35 on-campus clubs are service-focused. Ransom Everglades awarded $4.5 million in financial aid last year, distributed to approximately 17% of the student body, with an average award of $24,000. Average class size is 15 students; teacher to student ratio is 10:1. Although St. John’s carries the same name as adjacent St. John’s Divine Church, it is considered an independent, non-religious school. A member of the Southwest Preparatory Conference, the institution is known for its strong college prep program, which begins in elementary years but is most emphasized in grades 9 through 12. Although it is a day school, all students are sorted into ‘Houses,’ through which social events are organized and annual competitions between them are held. In addition to its rigorous college preparation, the institution has a strong emphasis on community involvement, with over 40,000 of service given by the Upper School in the last school year. St. John’s Mission Statement reflects this in stating the school’s intention to "develop the whole person in preparation for a lifetime of personal fulfillment and contribution to society." The school participates in Breakthrough Houston, a program allowing lower-income students to receive free summer courses that emphasize careers in education. 80% of St. John students are involved in both on-campus athletics and arts. This nonsectarian day school, established in 1935, places a strong emphasis on global learning and experience. In 2010, it opened a sister school, called Chadwick International, in South Korea. In addition to exchanges to its international counterpart, students have the option to spend a semester or year abroad across five continents through the Round Square program, of which the school is a participant. The school also has a robust college preparatory program, which includes a four-year plan for college advising, and additional, non-required summer courses for SAT and ACT prep. The school features an 8:1 student-to-faculty ratio, and 63% of teachers hold advanced degrees. Chadwick is accredited by the Association for Experiential Education, which partners with schools who excel at hands-on and outside-the-classroom learning. St. Mark’s School of Texas is an all-boys day school with roots in the episcopalian church, although it is no longer religiously affiliated. In line with the school’s Motto, Courage and Honor, St. Mark’s emphasizes a holistic education approach that focuses as much on character as intellect. This is reflected in its large body of student clubs and organizations, some of which have received national recognition, such as the iGEM science and research team. St. Mark’s is also a leader in environmental sustainability practices, including a commitment to build all new structures (and improvement projects) under LEED certification guidelines, as well as a campus-wide ban on non-compostable food packaging and products. As a non-sectarian school, the campus chapel is a place of multi-belief worship and prayer, and also serves as a quiet gathering place for students. Students have an average SAT score of 2180 and ACT score of 33. Sidwell Friends School was founded in 1883 by Thomas Sidwell; and the highly-selective day institution is a member of the Religious Society of Friends, also known as Quakers. Although admission is merit-based, preference is given to those who are members of the RSF. The school has been called "...the Harvard of Washington prep schools," and claims many politicians and former presidents’ children as alumni, including most recently President Obama’s children, Malia and Sasha. Although tuition is relatively high, Sidwell Friends has a large fund for administering financial aid to students; approximately 24% of attendees receive partial or full aid. The school boasts a high level of diversity, with 42% of its student body identifying as Hispanic, African American, Asian or mixed-race. Sidwell offers multiple opportunities for students to study abroad, including a Summer-term Chinese exchange program to Sidwell’s sister school in Beijing. This Episcopalian prep school, in addition to core curriculum, strongly encourages students to participate in religion, performing and visual arts, music and athletics, of which the school offers many options. A recent addition to 'lolani, The Sullivan Center, gives attendees the opportunity to study sustainability and explore community impact through innovation and leadership. In 2013, the school created a technology program called One-to-One, which provided each student in the Junior class with an iPad for integrated learning. Computers can’t replace quality human instructors, but that isn’t an issue at this school. 160 faculty are employed full-time, and classes average an 11:1 student to teacher ratio. 'lolani Peace Institute is an on-campus organization that seeks to promote inner and outer peace for both school members and those in the community through events, speakers and activities promoting local and global peace. 'lolani is the 4th largest independent school in America. Maret School, founded in 1911, features a historic campus in an urban setting. Originally an international school (started by three French sisters), the co-educational preparatory institution still places a high emphasis on culture and diversity. Among the student body and faculty, 41 countries are represented and 47% of the population identify as being of color. Class sizes are small, averaging 15 students, and Maret holds a stellar student to teacher ratio of 7:1. The school is also a member of the Malone Schools Online Network, a web-based academic supplement program for high-achieving juniors and seniors. Maret offers 49 clubs and organizations for its high school students, as well as 25 interscholastic sports teams. Every academic department offers both AP courses and independent study options. Middlesex School, a co-educational facility, is a member of the Independent School League, and is one of five institutions which form St. Grottlesex, a coalition of five prestigious boarding schools. The majority of students at Middlesex live in campus dormitories (around 70%), but are given the option to live off-campus if parents or family live nearby. Middlesex is considered highly selective in regard to admission (in 2014, only 18% of applicants were accepted); those who do become students are taught by a team of high-degree holding faculty and can expect small classes, where discussion is the standard. Middlesex also has a large performing arts department; student-led productions are held often throughout the year in the school’s multiple theaters and concert Chapel. Yearly tuition rivals some college programs, but Middlesex distributes $4.2 million dollars of aid to 28% of its student body annually. 74% of all AP tests taken by students at Middlesex in the last academic year scored a 4 or 5. This all-boys institution was founded in 1628, making it the oldest independent school in America. Although originally associated with the Dutch Reformed Church, Collegiate is no longer a religiously affiliated school. Core curriculum is traditional, and remains rigid until students reach their senior year. Seniors may choose to create an independent course of study or gain credits by creating and executing a Senior Project, so long as the basic education requirements have been met in previous years. The school offers 21 sports teams to choose from, and athletic accomplishments include a five-championship streak for varsity basketball, as well as 25 consecutive cross-country victories in the Ivy League Championships. 68% of faculty hold a high degree in their field; a quarter hold doctoral degrees. Average student SAT score is 2190, ACT score is 34. Groton School is an intimately-sized Episcopalian boarding school with 370 students. It features academic policies that allow students to drive their own learning, such as the ability to study multiple languages in the same year and the option to take additional courses beyond the standard five. Although it ranks as one of the most expensive private boarding schools in America, Groton is also one of only three such institutions in the nation to offer a completely free education to accepted students who qualify as lower-income. The school claims 42% of its students as being of color, and 16% are considered international. Zebra Tales, a robust student-run school blog, chronicles day-in-the-life experiences and happenings on campus. Located outside Portland, Oregon, is a progressive school rooted in the Episcopalian tradition. In addition to standard coursework and college preparation, students have the opportunity to participate in hands-on learning, such as the research-based science program and receive mentorship from professionals in their field. Also offered are research-based humanities courses, such as the Literary Journalism Project, in which students complete a magazine-length publication. Attendees may choose to live on or off campus, not optional is once-weekly attendance to Chapel, although the religiously-based school "welcomes students and families from a wide variety of religious backgrounds and practices," according to Oregon Episcopal website. The week leading up to Spring Break, students participate in Winterim, a six-day experiential learning project, which can be completed either on-campus or abroad through a variety of options. Average student score for the SAT is 2040, ACT is 31. This co-educational institution is the third oldest independent secondary school in America. Founded in 1660, Hopkins is a blend of traditional academia with modern perspectives on learning. All students must study Latin in their junior year, and extra emphasis is placed on English, writing and the classics ― the only two required courses for seniors, aside from electives of their choosing, are Shakespeare and College Writing. The school features an impressive 5:1 student to teacher ratio, and the faculty teaching these favorably small classes are also stellar. On-campus Calcaro Library is an expansive two-story facility with extensive print and online databases for study, as well as reservable quiet rooms and a faculty reading lounge. Over 45 students from the graduating Class of 2014 were accepted into an Ivy League University. For much of Menlo’s history, it was a modestly-sized boys’ boarding school, with, at times, military emphasis. In recent years, the institution has seen a complete turnaround. Menlo now functions as a co-educational day school with a progressive, hands-on approach to learning. Academia takes a real-world approach at the high school of 500; students are encouraged and mentored to write and produce publishable scholarly and scientific articles, as well as functional electronics and machinery. Menlo is also a leader in diversity and inclusion advocacy, reflected in the Equity, Inclusivity, and Diversity Committee, and the school’s annual People of Color conference. 100% of students at Menlo participate in Creative Arts; 82% in an intramural sport. The school awards approximately $4.3 million dollars of financial aid and tuition assistance to 18% of the student body. Thatcher’s original draw was its high rate of graduate acceptance into Yale; it is now sought for the unique outdoor-focused curriculum. The co-educational boarding school was founded in 1889 and is the oldest of its kind in California. The school emphasizes learning responsibility and calculated risk-taking as much as academia, which is reflected in its unique first-year requirement of equestrian studies. Each new student must spend a year caring for a horse, in addition to completing regular coursework. Attendees are also encouraged, although not required, to participate in weekend outdoor events and trips, including activities such as rock climbing, sea kayaking and snow camping. Considered highly selective, the school of 230 admits only 13% of the 600-some annual applicants. Average class size is 11, and 78% of instructors hold advanced degrees. Students may live on or off campus, although the majority choose to use the school’s boarding facilities. Noble & Greenough School, known informally as ‘Nobles,’ is a Country Day school (although a weekday boarding option is available) with a historic campus on the Charles River. The entire student body meets for morning assembly daily, which is followed by core curriculum studies. In the afternoon, students participate in what the institution calls The Afternoon Program, a required component emphasizing non-traditional and hands-on learning. Noble recently added 40,000-square-foot Arts Center and encourages student engagement by providing a special period, called the "M Block," which allows for various art and theater participation to be integrated into student schedules. Also of note is the on-campus castle, formerly a boys' dormitory, where attendees and faculty dine together. The school offers 25 varsity-level sports, including crew; since 2006, 86% of the varsity teams had a winning record. Students must complete 80 hours of community service to graduate, and are encouraged to do a portion internationally. As the first independent co-educational school in Texas, Greenhill has been a trendsetter for integration and diversity. While nearly half the student body identifies as being of color, the standard of acceptance extends beyond race. The institution also boasts a robust athletic department and is a member of the Southwest Preparatory Conference; students can compete in 24 different sports across both genders and have access to a large fitness center with on-site trainers. Students interested in exploring journalism can audition to join Evergreen, the school’s award-winning newspaper, which publishes 6 times a year. Average class size is 16, with a student to teacher ratio of 9:1. Windsor School, an all-girls institution, has been called an "Ivy Pipeline," with an average of 30 - 40% of graduates gaining acceptance into a top-tier University annually. The school is also known for its small class sizes, challenging coursework and strong sense of on-campus community. Winsor fosters the latter with a number of traditions and yearly events, such as the Varsity-Faculty basketball game, Spirit Week and the school’s annual Shakespeare play, which is produced entirely by students. As a graduation requirement, all Winsor Seniors must participate in the Independent Learning Experience, which allows for exploratory learning (in a subject of the Senior’s choosing) during the last four weeks of the school year. Although annual enrollment is less than 500, Winsor offers 14 team sports to choose from and is a member of the Eastern Independent League. The school’s SISTERS program (Sharing Individual Stories Through Everyone’s Roots) pairs a senior with a younger student to encourage conversation and mentorship about race, diversity and ethnicity. Located on the grounds of the Washington National Cathedral in Washington, DC, the all-girls school is one of two education institutions comprising the Protestant Episcopal Cathedral Foundation. NCS employs a classic teaching style in classes averaging 15 students, and required curriculum includes two semesters of religion classes. Students meet weekly for chapel, which is held in the Washington National Cathedral, as well as throughout the week at various times, depending on grade level. National Cathedral School also offers a variety of sports teams, including the alternative-fitness Voyageur Program, which partners with St. Albans, NCS’s corresponding boys’ school. Built in 1900, the school was constructed and running before the Washington National Cathedral, and is the oldest school of the Cathedral group. Last year, $2.9 million in financial aid was awarded to approximately 20% of the student body. This relatively young preparatory school was founded in 1973 and has maintained a small student body with a stellar student to teacher ratio of 8:1. The intimately-sized classes are taught by a team of instructors of whom the majority (82%) hold an advanced degree. In addition to offering over 160 different course options, SFU encourages students to engage with the surrounding community through its Opportunity Knocks program, which provides opportunities for volunteering and internships throughout the Bay Area. 44% of the student body identifies as being of color; half of those students identify as being of Asian descent. Attendees have access to Health and Wellness counseling on-campus, which offers both socio-emotional guidance as well as health, fitness and nutrition advice. A co-educational day institution, Buckingham Browne & Nichols is the result of a merger between Buckingham School and Browne and Nichols School in 1974. Incoming Freshman at BB&N all participate in Bivouac, an annual 11-day camping trip in New Hampshire, intended as a bonding activity at the beginning of the school year. Buckingham Browne & Nichols has three student-run publications; The Vanguard, which publishes eight times per year, has won multiple gold medals from the Columbia Scholastic Press Association. The school also produced three Presidential Scholars, and is a member of the prestigious G20 Schools group. BB&N has four libraries to serve students on campus; the library system also offers access to 14 online databases for research and reading. High school class sizes average 12 students, with a student to teacher ratio of 6:1. Founded in 1909 as a girls boarding school, in 1971 Bishop’s merged with a boys’ school and today is a coeducational day school with 800 students. Of the 105 faculty members, 85 hold either a master’s or a doctorate degree and the student teacher ratio is nine to one. The facility is considered a Historic Landmark by the state of California; the campus, which is located a block away from the Pacific Ocean, features Irving Gill buildings from the early 1900’s. Bishop’s is affiliated with the Episcopal Church and integrates Episcopalian tradition in its curriculum; students attend a weekly chapel service. As a technology-forward school, along with textbooks students use iPads and classrooms feature flat panel TVs and interactive whiteboards. Students at Bishop’s have an average SAT score of 2070 and an average ACT score of 31. The Bishop’s Singers, the school’s award-winning advanced choir, has performed in Carnegie Hall and other notable venues around the US. The School’s financial aid program awards $2.9 million each year to 20% of the students. Cate School is a co-educational boarding institution with a strong emphasis on extracurricular activities as part of a holistic education. All students are required to participate in a sport, but can choose from non-competitive or low impact options such as dance, sea kayaking and rock climbing. The school features a number of unique clubs ― such as Mock Trial and The Pirate Club ― and strongly encourages, but does not require, participation. Also of note is Cate School’s Student-Faculty Senate, which is the only legislative body on campus, and is comprised of elected members (such as a President and senators) by the student body, as well as appointed faculty advisors. Every year, over 1.2 million students in the U.S. drop out of high school ― the equivalent of 7,000 per day or one student every 26 seconds. Of the 21,000 public schools in America, 2,000 of them graduate less than 60% of their students. Sometimes referred to as "dropout factories," these schools account for more than half of the students who leave school each year. Additionally, about 25% of high school freshmen do not graduate high school on time. On the other hand, the dropout rate of high schoolers decreased almost 5% (from 12.1% to 7.4%) between 1990 and 2010. According to the National Center for Education Statistics, the immediate college enrollment rate of the 3 million high schoolers who graduated in 2013 was 66%; around 2 million enrolled in 2- or 4-year colleges the fall immediately following their completion of high school. The immediate college enrollment for 4-year colleges was 42%, as compared to the 24% enrolling in 2-year colleges. However, those high school graduates not enrolled in college the following fall were much more likely to be working or seeking employment than enrolled graduates (72.7% versus 37.9%). That being said, in 2014 the unemployment rate for recent high school graduates not enrolled in college was nearly twice that of recent high school graduates who were enrolled (28.8% compared to 14.5%), according to the Bureau of Labor Statistics; this is a statistically strong indicator of just how much of a difference pursuing a postsecondary degree makes ― even right out of the gates. The high schools included in the top 50 list above all rank higher than the national average of proficiency rates in core subjects. Only 26% of the nation's 12th graders are at or are above the proficient level in mathematics and only 38% are considered proficient in reading (NAEP, 2013). However, of the 11 states that volunteered to participate in both assessments, six made gains in either math or reading. It seems that top public schools are indeed improving overall, however change in the majority of US high schools may be slow in coming if current trends persist. As such, students and parents may choose to be more selective when considering public high school options.